It’s an outdoor playground inside! 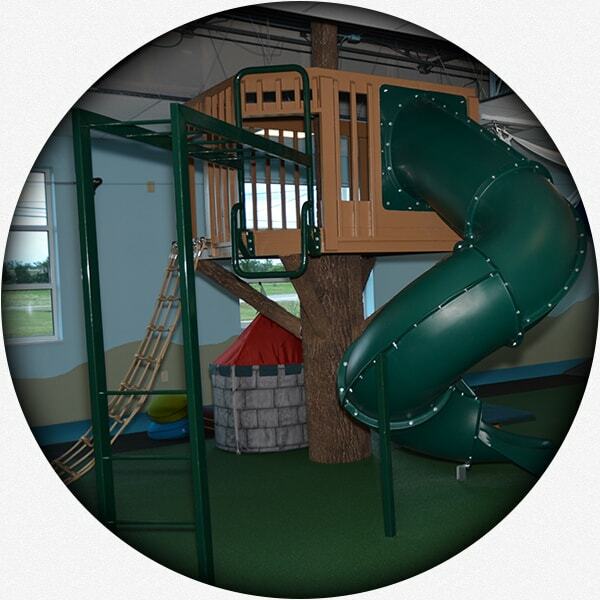 Kids love playing in the treehouse, monkey bars, climbing net and twisty slide. 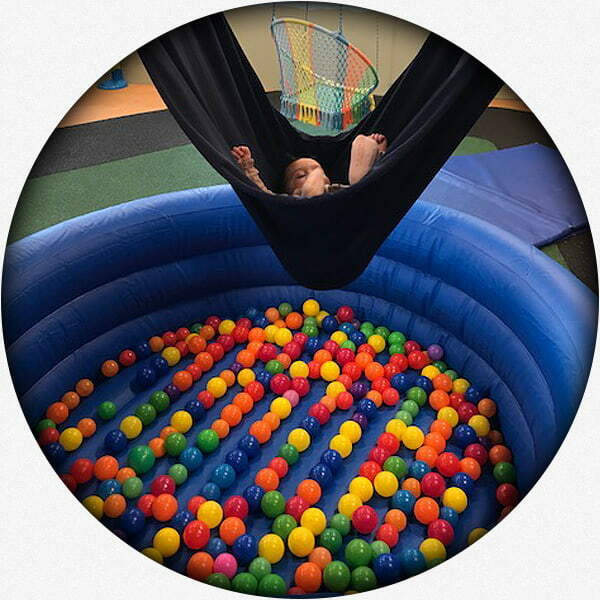 This is a great space to work on social skills, social gaming (hide-and-seek), turn taking, gross motor skills, overcoming fear and expanding language. Safety skills are taught with the help of a “street” going around the entire room complete with street and safety signs. 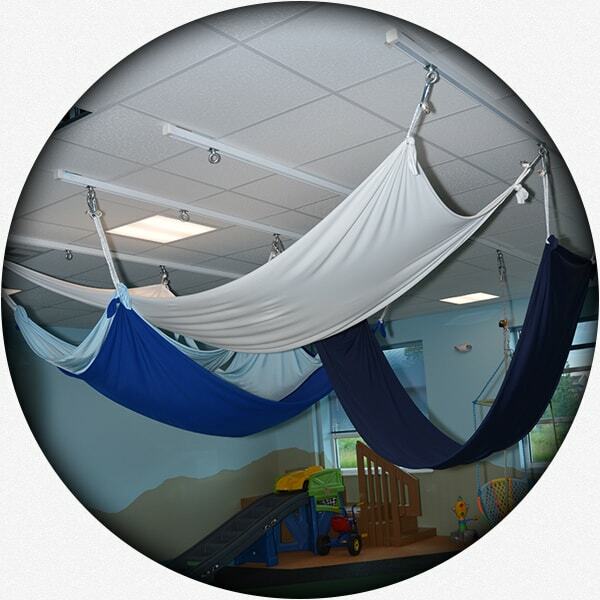 Super fun, super stretchy clouds are used for sensory fulfillment or just a fun swing! The deep pressure calms the nervous system. It’s also been shown that an elevated surface produces more speech and engagement. The kids’ favorite! 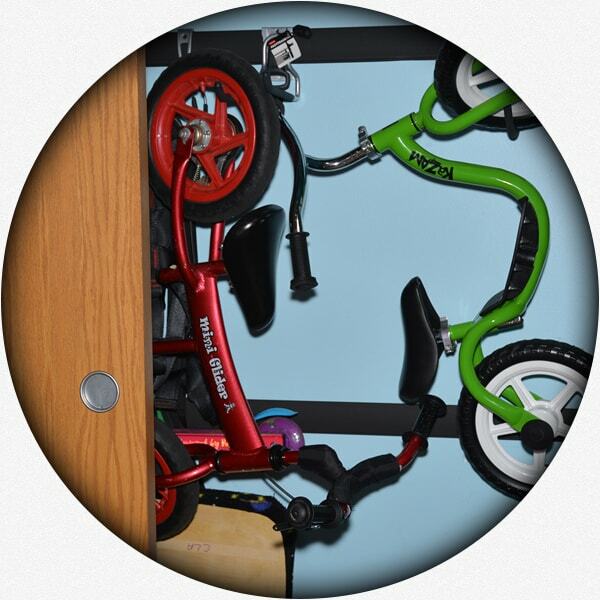 Perfect for kids with autism seeking out vestibular input. Being face to face increases engagement and works amazing on eye contact. 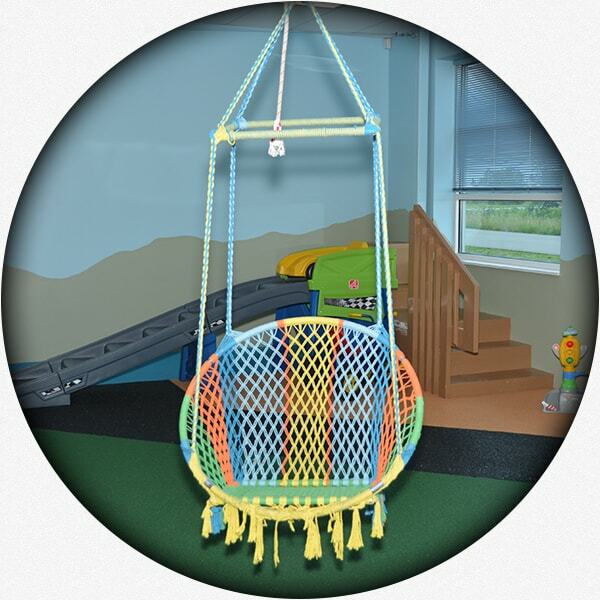 Our rainbow swing is relaxing, calming and just plain fun. 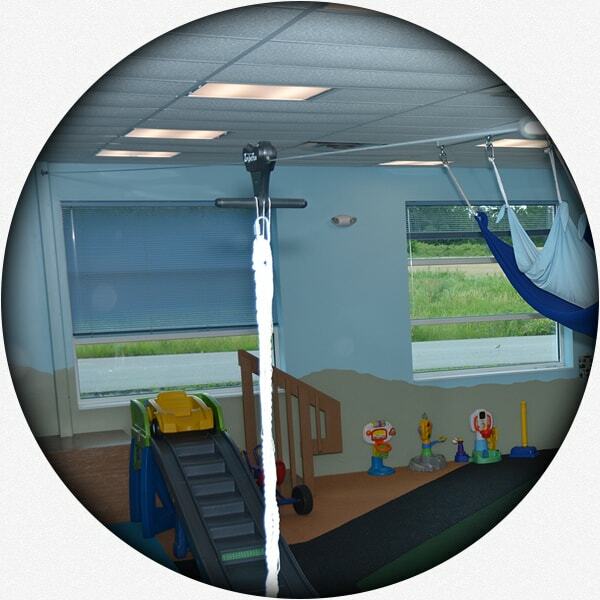 Watch your child fly across room on our zip line! 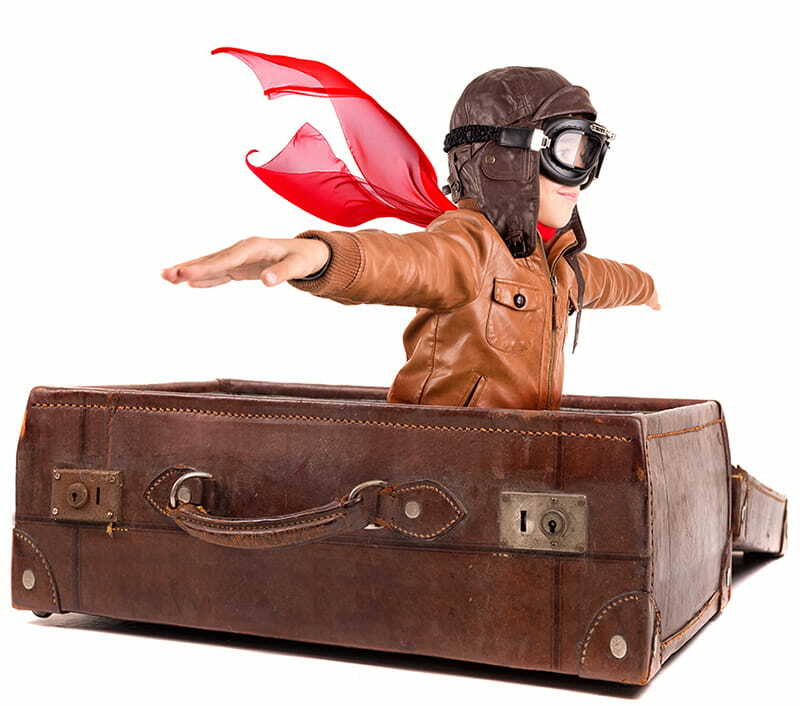 Helps children take risks and request for help. Works also on low muscle tone and increases excitability, engagement and emotion. 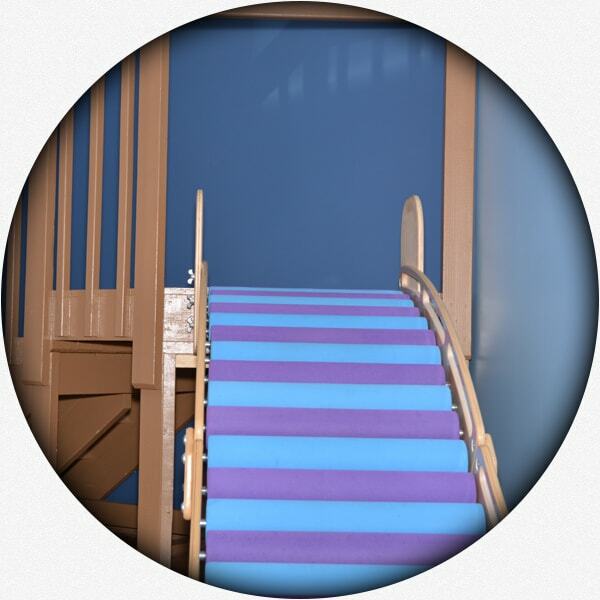 Adjustable to many heights for kids of all sizes and skill levels. Works wonders on individual skills, group game dynamics and social skills. 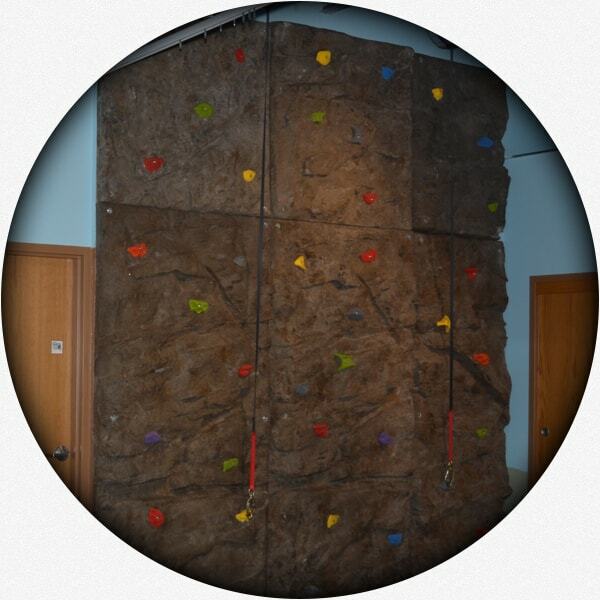 All kids are safely harnessed on our very own rock wall! Excellent area to work on motor planning and overcoming challenges. Teamwork is strengthened when two climbers must work together. 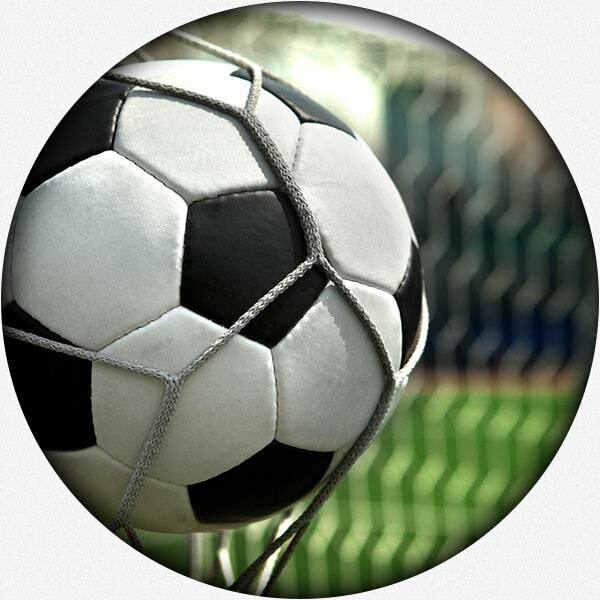 Kids play fun sports while working play, body strengthening body, teamwork, sportsmanship and following directions. An ideal environment for children to learn how to tolerate loss and disappointment. 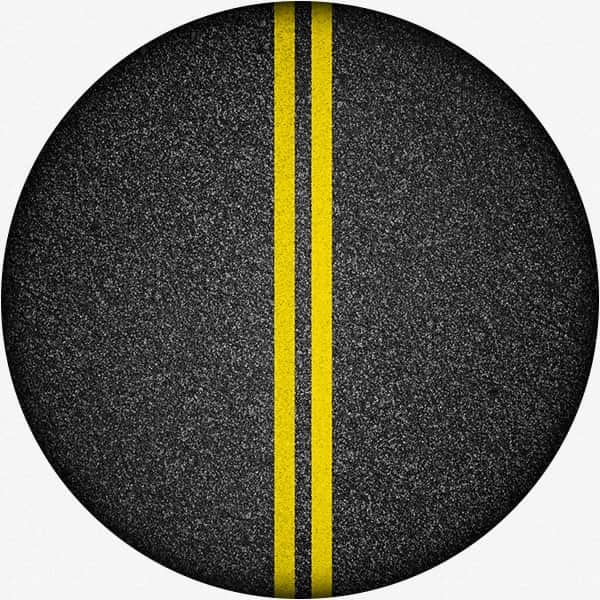 A black track runs around our playground to look like a street road. Kids practice life skills like and learn how to stop, go and wait for the light. By having to stay within the road, children learn self-regulation and how to follow directions. Bikes are a plenty at BBT! Children acquire crucial safety skills by learning how to follow signs posted throughout the playground. Coordination is improved and leisure skills are developed. Children practice life skills and independent living skills. Sorting clothes helps children work on following directions. Used for 1-on-1 therapy sessions. 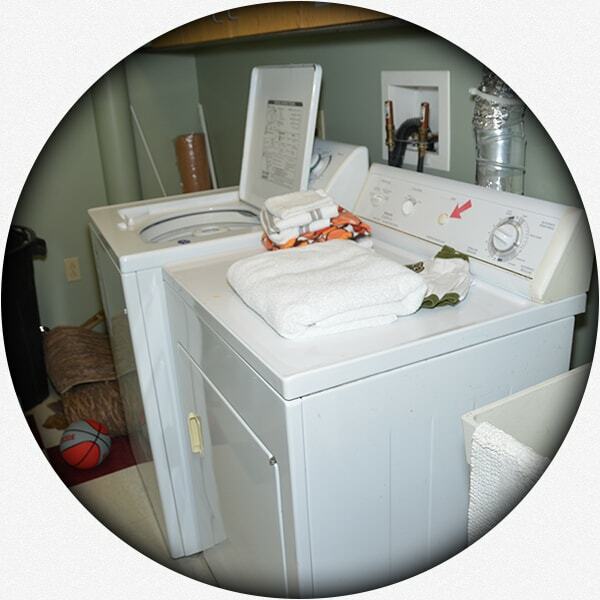 Specialized attention helps to work on play skills and communication. 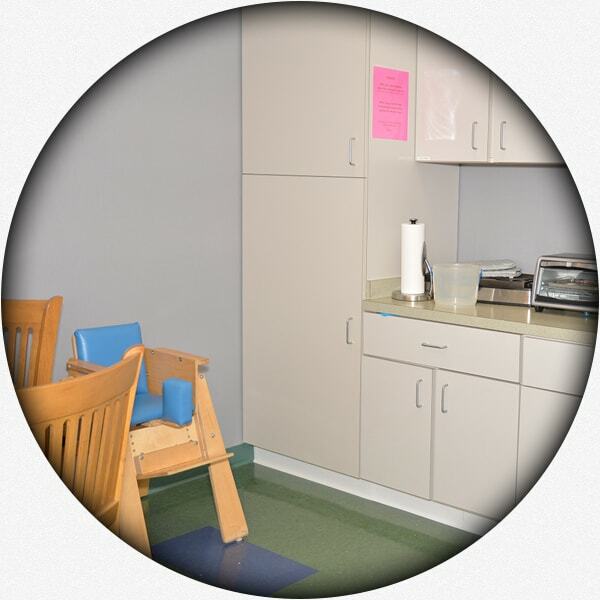 Different size tables and chairs are provided to accommodate any size child. Here’s where we work on feeding skills, including independent feeding. Through feeding therapy, we help children overcome aversions to different foods or certain textures. Children can practice following visual and written directions. Actually cooking takes place for a real life environment. 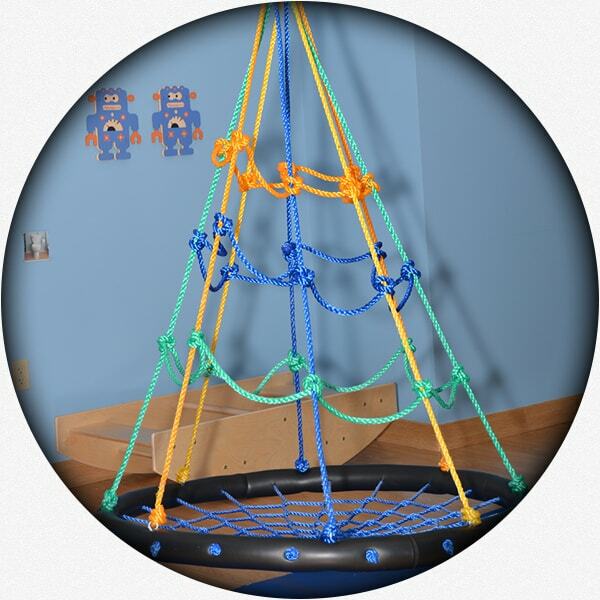 Ideal to work on sensory play and motor planning. Can be used individually or with a partner to help with pretend play and communication. Another favorite of our kids! They love to cuddle with it or lay on it. Kids can even lay underneath it for deep pressure sensory fulfillment. Helps elicit different reactions. Shows kids things can be done in different ways. 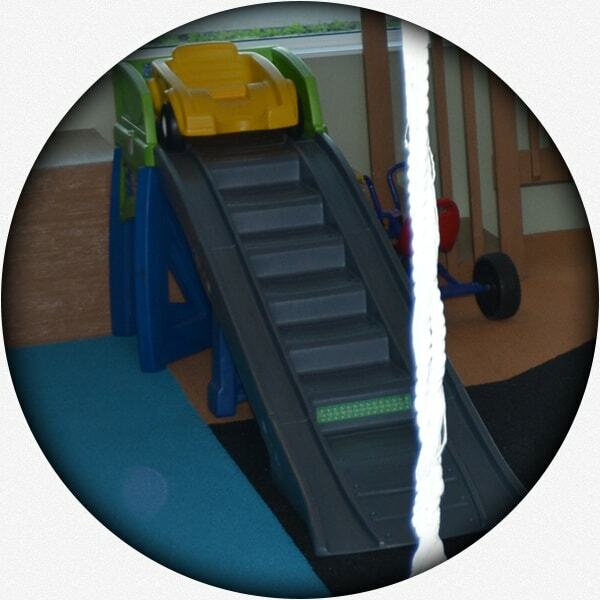 Encourages communication by having children request this sensory slide over our regular slide. Going up and down the slide develops motor planning. Children can experience different movements. Also a great place to practice play skills like catching and throwing and reciprocal activity. 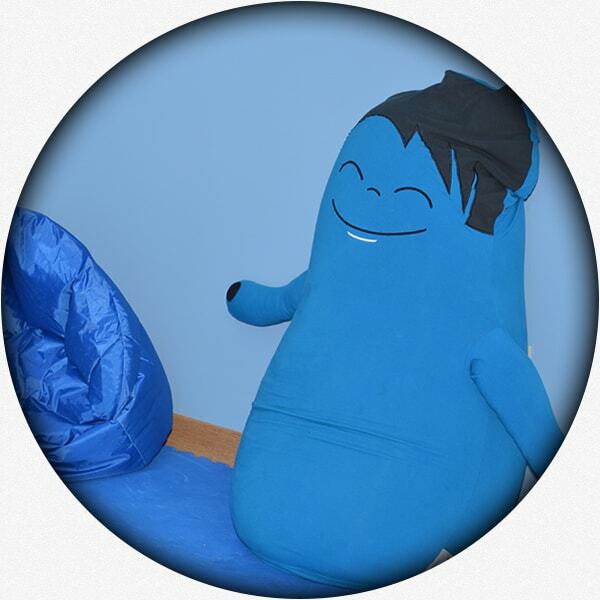 This is one of our favorite rewards during our therapy sessions. Great in teaching turn taking. Used as a reward to alternate between a high preference activity and low preference activity. The linear movement of the roller coaster also helps in calming and organizing. 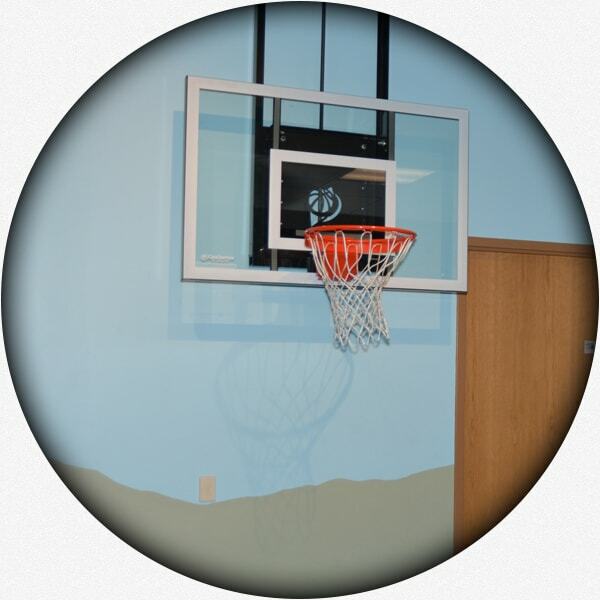 This is where kids enrolled in our Day Program spend most of their day. It’s an intensive, 1:1, 25 hour/week program run by a lead RBT (Registered Behavior Technician) with multiple BCBAs consulting on a regular basis. Circle time and a “cafeteria” helps with school readiness and social eating. The intimate atmosphere and personalized attention create a perfect environment for peer modeling and developing peer relations and social skills. 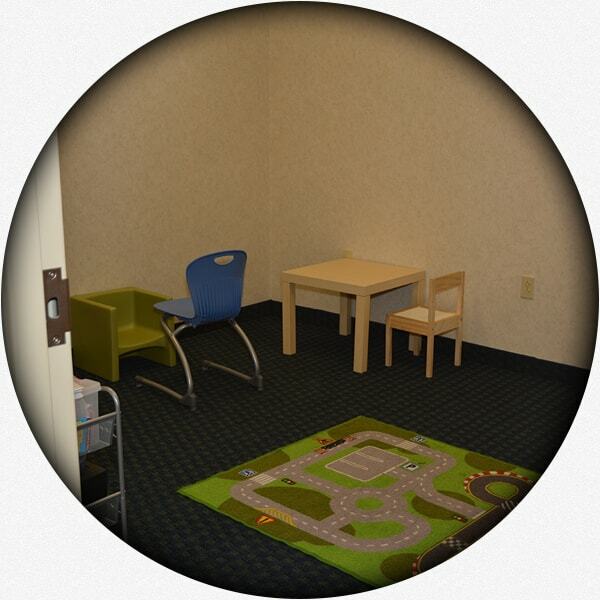 A sign in process and cubby system help children with structure and establish a routine. And to top it off, we have tons and tons of toys and books! The program is for children ages 2-8, from 9:00 AM – 2:00 PM. We are here and happy to help. Come out and take a look at our facility today. Just contact us!